The Bruins have won four games in a row for the first time this season since interim head coach Bruce Cassidy took over for Claude Julien on February 7. Boston has looked like a different team during this win streak- convincing, competitive wins against the Pacific Division leading San Jose Sharks, the Vancouver Canucks, and the Montreal Canadiens now place the Bruins only four points out of the (admittedly weak) Atlantic Division lead. The Bruins’ sudden change of momentum is hard to quantify, and that the team’s first four game win streak of the 2016-2017 season comes directly after a coaching change have led many to point to the obvious: this is clearly Cassidy’s work. He has quickly been able to turn this team around, now rid of the coach some Boston sports contingents claimed hated offense and young players, despite clear statistics that show the Bruins are the fourth highest scoring team in the NHL since the 2009-2010 season. It’s possible that Julien’s message was lost on the Bruins, despite the team’s stars denying anything of the sort. It’s possible Cassidy’s desire that players create more space for themselves to work in the offensive zone, that players emphasize quality shots just as much as the quantity of shots, have given players more freedom offensively. But it’s not likely. 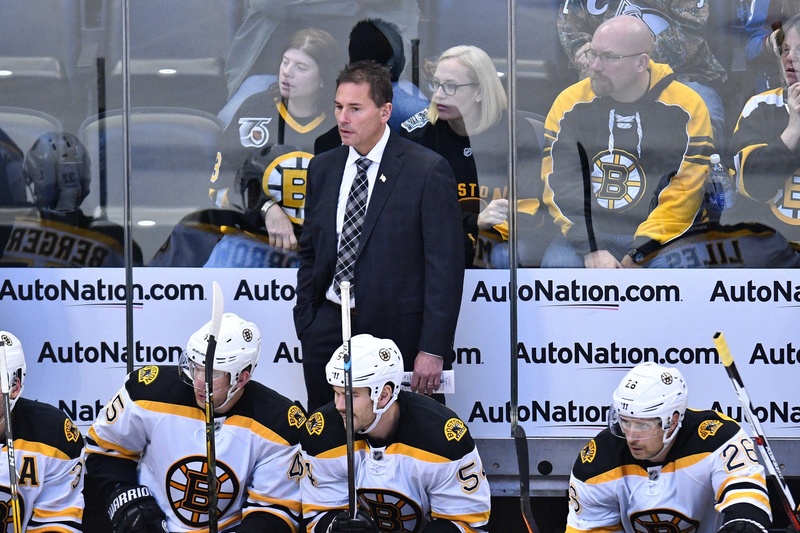 Cassidy was able to get his feet wet as head coach for three games before the Bruins took a league mandated ‘bye-week’ that was introduced for the first time this year. The team was not allowed to hold official practices during this week off. Cassidy was not there to work his new systems for seven days. The Bruins victory against San Jose in overtime Sunday night has little to do with Bruce Cassidy’s coaching style, and more to do with stellar goaltending from Tuukka Rask and a beautiful set play in overtime that ended the game. Hockey, by nature, has traditionally proven difficult to measure a player’s quality, or a team’s quality. As advanced statistics have developed, the desire to learn what’s happening on the ice beyond what we see with our eyes have changed. What we’ve seen in the Bruins all season is an excellent puck possession team that has scored far below their expected goals per game average (2.60 expected goals per game compared to 2.09 goals per game so far this season). A four game win streak really should not inspire so much sudden confidence in a team- the ups and downs of an 82 game season demand one happens at some point. It’s more embarrassing than impressive that it took until mid February for the Bruins to win four in a row.